to top-class riding year round." Ant’s Nest and Ant’s Hill are owned and run by Ant and Tessa Baber. The Baber family was one of the earliest pioneer families in the area, settling here in 1886. Of English and Irish decent, they carry with them a love for Africa’s wide-open spaces, adventure and a passion for its wildlife. Horses and the use of horses for work and enjoyment has always been a part of the Baber family’s heritage. Ant and Tess started their horse safaris in the mid 1990’s which makes them one of the first and most experienced riding outfitters in Africa. Ant, having grown up on horseback in the Waterberg, has always had a passion for horses and wildlife and has chosen to bring the dream alive where these two passions meet. Tess grew up in Kenya in the hospitality industry and has always had a love for the bush. Together with her creative flare and Ant’s diverse knowledge of horses and wildlife, the two of them have combined their talents to create Ant’s Nest and Ant’s Hill Riding Safaris and their two uniquely designed bush homes located on their privately owned 12500-acre game reserve. The classic and spacious bush homes are owner designed and built using local stone and thatch that blend into the surroundings setting the scene to give their guests the most memorable unique, bushveld horseback safari experience of a lifetime. The reserve is set in the wild and unspoiled Waterberg region in the Limpopo province of South Africa. A mere 3 hours north of Johannesburg, Ant’s offers some of the most diverse and exciting game viewing on horseback in Africa. The objective of Ant collection is to create sustainable tourism by means of conserving the environment around us, enriching the lives of our guests and staff alike as well as uplifting the community and providing as many skills and development to the locals as possible. Ant’s Horse Safaris is unique in that our herd of over 90 horses live out in the bush and graze amongst the game, thus giving guests possibly the closest wildlife encounter on horseback in Africa, the game see the horses as are equally relaxed with the game. Together with our ultimate flexibility, incredible personal service, huge variety of game, additional non-riding activities (for any non-riding companion) and the ability to take all levels of riders including children of all ages sets us apart from other riding safari operations. Due to the large herd of horses we are able to offer multiple rides at any one time thus not mixing riders of different abilities on any one ride and are the only riding safari that can cater for a weight limit of up to 120 kgs. Ant’s Horse Safaris combines unforgettable riding at all paces with fit and well-schooled horses, through wildlife rich and diverse terrain. Together with stunning accommodation in the two beautifully appointed bush homes and fusion of scrumptious home cooking and fine dining creates a truly holistic horse riding safari experience. Ant’s is unique in that it offers not just riding but a variety of other safari experiences for the rider as well as the non-riding companion. These include: massages, game drives and walks, mountain biking, archery, snake and reptile handling and a number of other activities in the surrounding area. The couple of days I spent at Ant’s Nest were exceptional. 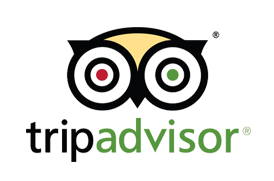 The staff and owners really make this place as fantastic as it is, everyone is happy and extremely helpful and friendly. There is an excellent standard and variety of horses to be ridden and the staff are very careful and helpful in putting you on the right horses. All of the horses are well trained and well looked after, in excellent condition. The property and riding trails are beautiful, with a good variety of game and plenty of opportunity to ride close to them. Rides are tailored to the guest’s preferences and I had a great time riding around the property having some great discussions with the owner, Ant. The accommodation and food is luxurious to say the least. I can’t wait to get a chance to go back! Africa has always been a favourite destination, but I had never considered a riding holiday here until my 60th year – why did I wait it so long? From the warm & helpful lodge staff to the wonderful horses and guides, our stay at Ant’s Hill in May could not have been better and seeing rhinos, giraffe, buffalo and other wildlife close-up from the back of a horse made it an unforgettable experience. The riding was exciting, well paced and designed to suit the rider’s abilities, with comfortable saddles & a great range of forward going horses – boerpards, thoroughbreds, arabs and Freisans. The horses are very well looked after by the hard working team. We felt very safe and well cared for by the riding guides, who took the time to tell us about the ecology of the area, explain various uses for tree leaves and bark & point out various animal tracks. This was our 1st time to Ant’s Hill, we were part of a 14-person riding group from the US. The horseback riding was our main draw, to be on horseback & observe the wildlife at Ant’s was truly remarkable. Our horses were well trained, strong, capable & took excellent care of us. The wildlife viewing surpassed our expectations. The knowledge our guides had & information they shared was of great interest. The team at Ant’s Hill made us feel so welcomed, the food was delicious & there is no lack of it, all prepared with great care. This was an incredible experience one that we hope to revisit. Please note that we often struggle with mobile signal, however, sms’s and whatsapp tend to come through on the mobile numbers.